Posted on 17. Feb, 2010 by Corey in All, NCAA Basketball. A growing theme around the sporting world is teams honoring falling alumni with a patch on their jersey. From high school sports to college athletics and onto the professional ranks, teams are placing ribbons, numerals and initials on their game jersey’s to draw attention, recognize and honor those who have meant a great deal to their program and want to celebrate their lives. For the Kansas State Wildcats Men’s Basketball team, the patch on their game jersey chest is to honor the current and heroic 1-7 FA (Field Infantry) Division of the Fort Riley Military Base, just minutes from the Manhattan campus. 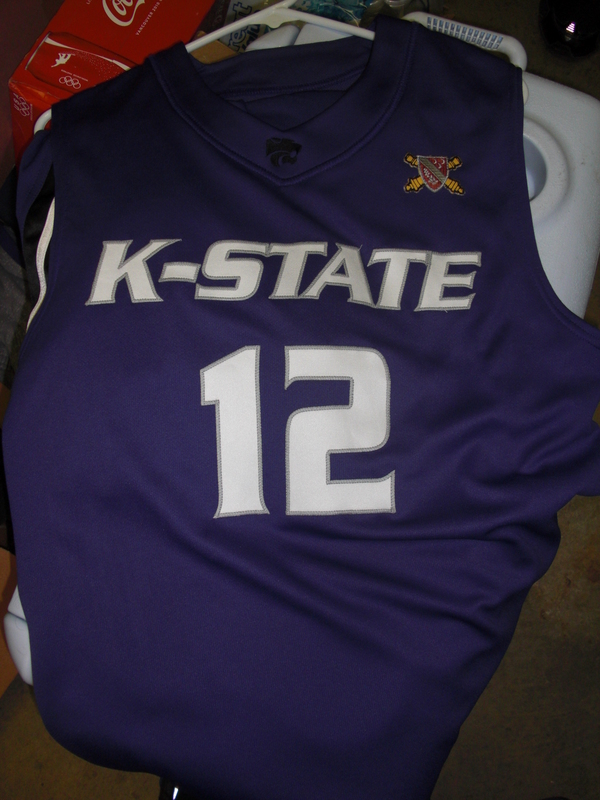 The patch appears on all three colors of KSU’s jersey top and is proudly displayed every game. In September of 2008, a partnership was formed with the 1-7 FA and the Wildcats basketball team. 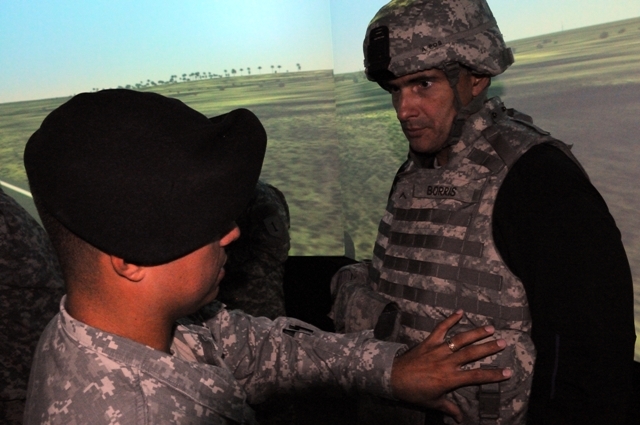 The unit was scheduled for an October 2008 deployment to Iraq, and was in the final stages of their training at Fort Riley. 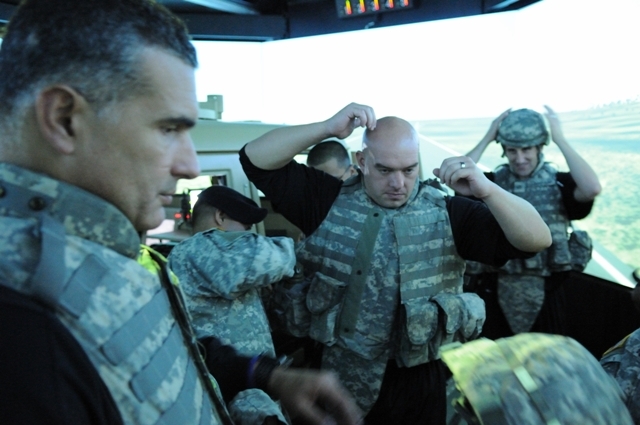 Head Basketball Coach Frank Martin brought his entire roster of players, coaches and staff to Fort Riley on September 11th, 2008 to participate in a full training session, exactly like the troops were going through. Following this terrific experience, the Men’s Basketball Team returned to campus to continue their own training, getting ready for the season and a grueling Big 12 Conference Schedule. Several days later, the 1-7 FA sent about a dozen of their troops to Manhattan to reverse the roles, and train with the team. The troops attended classes, weightlifting sessions and were put through an on court practice to get a feel for what a college athlete goes through on a day to day basis. As the 1-7 FA troop was being deployed to Iraq, the KSU team once again returned to Fort Riley to see them off, wish them luck, and thank them for representing the country. The infantry was to spend 12 months in Iraq. While there, the basketball team made sure to send them care packages and copies of all of their games for the interested troops to watch. 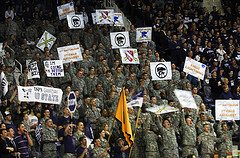 In return, the troops would send recorded messages back to the team that was played before each game on the video board in Bramlage Coliseum. 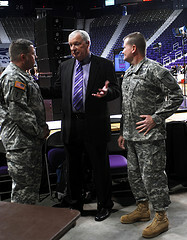 The Wildcats Athletic Department has also designated one game a season as “Fort Riley Night” where troops and their families are invited to Bramlage at discounted prices to watch a basketball game. 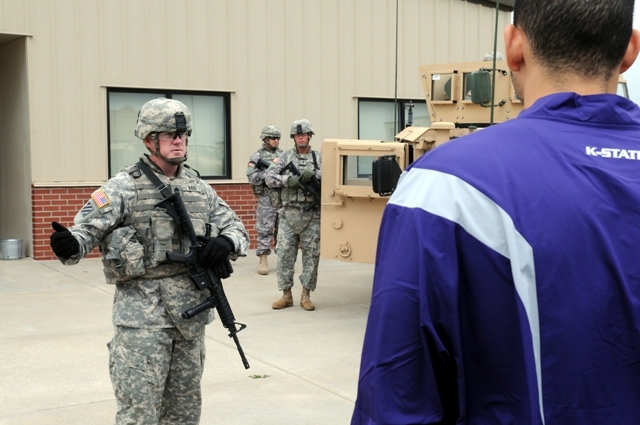 Coach Martin and the rest of the Kansas State family hope that the relationship between the University and Fort Riley can continue into the future. He told me he held this was a great thing for both parties to experience and beneficial to everyone. Thanks to the Basketball Office for providing me with the following pictures. I was wondering all season what the patch was on K-State’s uniform and searched it tonight!! That is awesome and am proud of the team for their support!! While watching the BYU game I instantly notice the unit crest and as a former member of 1/7 Field Artillery I was honored to see K State acknowledge my unit and America’s heros. 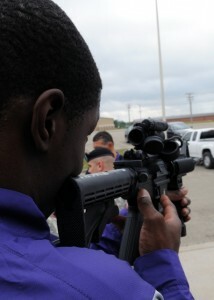 Hooah for K State. I am honored to see the K-State team wear my cross cannons on their uniform, as I also have. As a member of the 7th Feild Artillery Regiment, you make me proud of the service I have given to this country. I will never forget my short experience at Fort Riley and cruizing around K-State. Oh, and Don is not getting into a tank, it is an M109A6 Self Propelled Howtzer. Thanks and good luck in the championship. Thank you for reading this story and thank you for serving our country…Go KSU! Thank you for your service to this country and checking out my website. Gonzaga has a tough road but have always respected that program. What a great honor to have the K-State Basketball team wear the 1/7th FA unit crest on their jerseys. I served with the A Battery 1st Battalion 7th Field Artillery in Fort Riley, KS from 1977 – 1982 at that time we were know as the Alpha Rebels (for good reason). At that time our main weapon was M109A1 self propelled 177mm Howitzer. Funny how things change .. on weekends when we partied in Aggieville the students didn’t really like us GI’s chasing “their” women and drinking “their” beer. 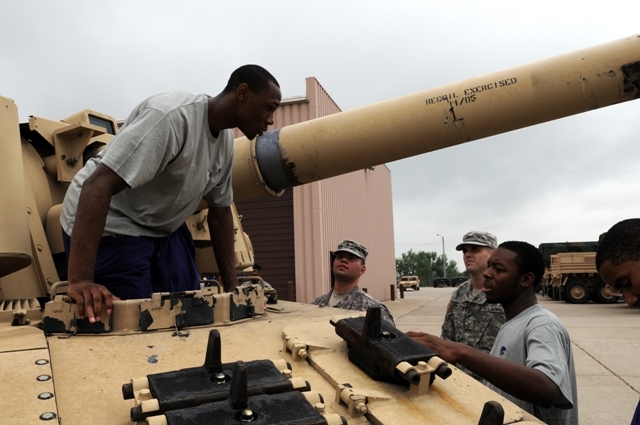 But all in all it was a pretty good relationship as my unit was always invited to band day during football season to fire our small 105mm towed cannons (blank rounds ..of course) Good luck to the 2010 Basketball team in the NCAA tourney!!!!! It is so good to see that K-State displays the patch for the 1-7 FA Division, and thanks to all Troops for their sacrifice to keeping our country SAFE and FREE. GO CATS, lets go all the way now. You are an awesome group of players, and that was one hell of a game last night against Xavier, way to play your hearts out. I like this concept. I visited your site for the first time and simply been your supporter. Keep writing as I am gonna come to read it everyday!! 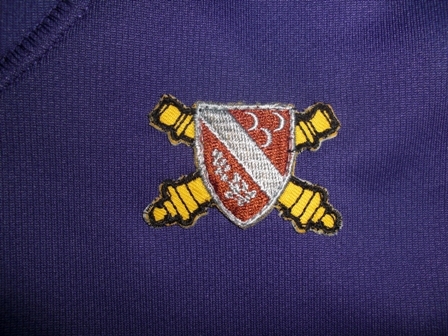 It represents the 7th Field Artillery Regiment. The 1-7 means 1st Battalion, 7th Field Artillery. The M109A1 was a 155mm SP Howitzer, the current version is the M109A6. I am a retired Redleg, rank LTC and I noticed the crest immediately. I am affliated with the 11th Artillery Regiment. 1-11 FA, 9th Infantry Division (Motorized) Fory Lewis, Washington. 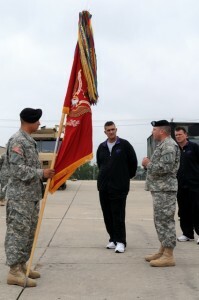 The 9th ID has been inactivated. I am gonna pull for the wildcats…great story! Thanks. I had great time doing the research and interviews for this piece. Such a neat thing that is done out there. Please tell your dad thank you!